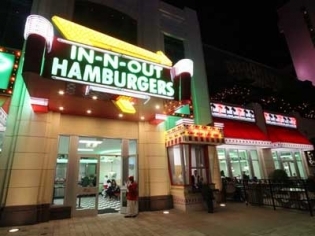 The iconic West Coast fast food hamburger chain is now open at a Strip location in Las Vegas. The location at the Linq is a dream come true for fans of the iconic burger. This location has all the familiar favorites as well as the not-so-secret, secret menu options. The Double–Double, double meat and double cheese, is always a favorite. The meat is ground freshly right on site and the french fries are sliced and chopped while you wait. The milk shakes are made with real milk and are rich, thick and delicious. The prices are so low you won’t believe you are on the Strip in Las Vegas! Located below Brooklyn Bowl and adjacent to Sprinkles cupcakes, the location has an outdoor patio for dining facing the Linq Promenade fountain.